The company Daewoo, founded in 1967, began with the production of textile equipment and in 10-12 years it became a large heavy engineering company. 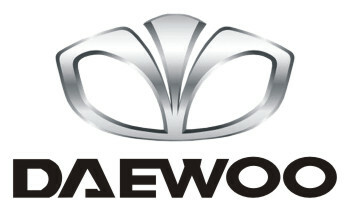 The basis of the Daewoo Motor automobile division was Shinjin Motor, formed in 1965, with which the American concern General Motors established a joint venture on June 7, In August 1978, Daewoo bought 50% of its shares, but only since January 1983 there began assembling cars similar to the German cars Opel. 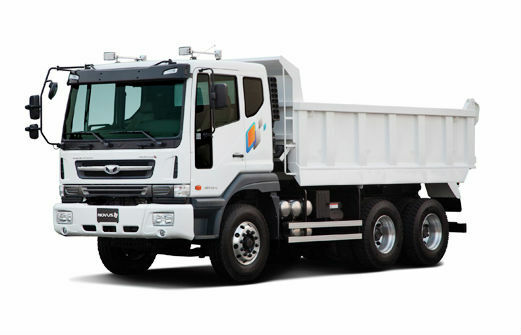 A little later, the production of trucks under the license of the Japanese company Isuzu was also developed there. Since 1982, Daewoo has become an integral part of the new Daewoo Corporation, which in October 1992 bought from General Motors the remaining stake in Shinjin Motor. The development of truck production was facilitated by the launch of new enterprises: in 1991 - a mini-car factory in Changwon and in November 1995 - a large robotic complex in Kunsan with a capacity of 20 thousand trucks per year. In December 1997, the company "Daewoo" acquired the firm SsangYong, and at the end of 1998 the group Samsung transferred its production of trucks to it. After suffering huge losses, in 1999, the company "Daewoo" fell into a crisis situation and on November 5, 2000 it was officially declared bankrupt, after which a struggle for ownership was launched between the big monopolies. Thus, in 2004 it was acquired by TATA Motors (look: TATA truck PDF Manuals), and Daewoo Motor Company was renamed TATA Daewoo Commercial Vehicle Co.
Daewoo 8 ton. This truck company Daewoo produced under the brand SMC until 1982. After its liquidation, these trucks were produced for some time under the brand Daewoo. His engine produced power of about 180 hp. Like all Korean trucks of that time, this model did not have its own name. In the years 1976-1977. In South Korea under the brand Saehan sold copies of Japanese trucks Isuzu Elf. Sales were limited and soon ceased. In 1987, the Elf model, but already in a modernized version of the Elf II, again appeared on the Korean market under the Daewoo brand. It was an exact copy of Isuzu Elf (look: ISUZU truck PDF Manuals), which by that time had received a new angular cabin of characteristic design. Under the license of the Japanese company Isuzu in Korean factories Daewoo in 1982, the production of the model code-named 2848 or Superpower (a copy of the Isuzu V series) began. The series did not have its own name (like many Korean trucks of that time), and the code 2848 indicated only the engine index. Before the production of the 2848, Daewoo produced a similar truck of the joint venture GM-SMC, which had the same cabin. 2848 of the first generation was absolutely identical to the Japanese prototype, but was equipped with a local V8 engine instead of the licensed MAN V10. In 1986, Daewoo prepared an update for the 2848 cargo model line. For the first time in the company's practice, the design of the front of the cab was slightly different from the Japanese prototype. In 1992, the 2848 model received a new, more modern V365T engine. The cabin remained the same, but its design has changed a lot. She received a new front mask, bumper, wings and side deflectors. Some changes have taken place in the interior. In this form, the V365T was produced before 1995. 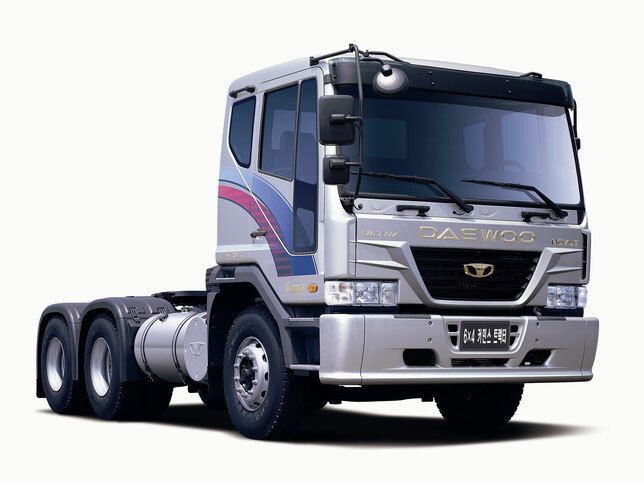 In 1995, Daewoo introduced a brand new truck, the Chasedae or the Next Generation Truck. 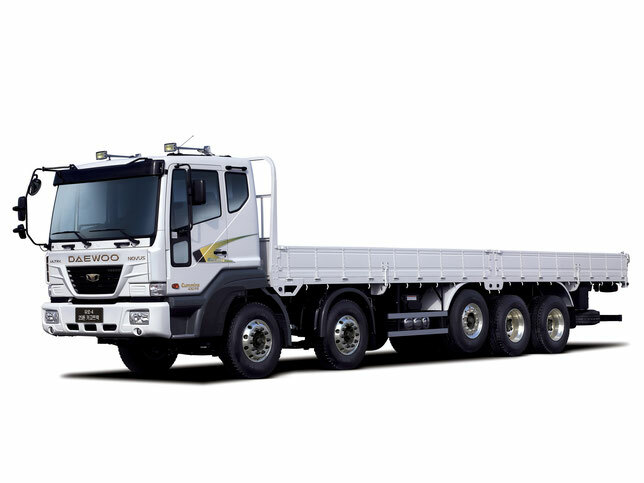 Despite the novelty of the design, they represented a deeply modernized Japanese trucks Isuzu. The family consisted of 36 basic models with designations for the size of the carrying capacity. The Cargo basic series included single-side cars with a wheel formula from 4x2 to 8x4 with a gross weight of 15.7-36.5 tons (models from "8 ton" to "24 ton") with in-line 6- and V-shaped 8-cylinder diesel engines (12023 and 15201 cm3, 225-370 hp), a 16-speed transmission, a hypoid overhead transmission. They were based on Dump trucks, Tractor tractors, chassis for cranes and concrete mixers. In 2002, the Chasedae model was updated. The new trucks are called Chasedae Ultra. From this year to the 11-liter 340-horsepower turbo diesel DE12TIS, made under license MAN, and 14.6-liter 370-strong turbodiesel DV15T added 2 more powerful engines. This V6TCI and L6TCI power of 380 and 415 hp, respectively. The grille has received ugly "whiskers", which are the hallmark of the updated models. The updated model range was introduced in 2004 and was named Novus. External changes - at a minimum, only a new grille, and a little later, also a new more massive bumper. The choice offered a lot of engines - Doosan DL08 250 hp, DE12TIS - 340 hp, DV11 - 380 hp, as well as the most powerful DV15TIS delivering 420 hp. The engines met the standards of Euro I, Euro II or Euro III. Some trucks were equipped with Cummins engines up to 420 hp. - 4.5 / 5/7-ton chassis 4х2 with engine DL06K with a power of 270 hp. - 8 / 8.5-ton chassis 4x2 with engine DL08K with a power of 320 hp. - 9.5-18-ton chassis 6x4 with a DV11K engine with a power of 390 hp. - 8- and 15-ton dump trucks 4х2 and 6х4 with engines with a power of 270 and 410 hp. - Concrete mixer with a volume of 6 cubic meters. As an option, trucks can be equipped with Cummins engines. In 2008, Daewoo and TATA jointly presented the first product of the new global series - the Prima model, which is produced both under the Daewoo brand and TATA. As well as in the NOVUS line, the PRIMA series produces tractors, dump trucks with lifting capacity from 15 to 25 tons, on-board trucks with lifting capacity from 5 to 25 tons. The new series is equipped with several types of engines: IVECO CURSOR 13, power up to 560 hp, DOOSAN DV11S (look: Doosan truck PDF Manuals), power up to 450 hp, CUMMINS ISM, power up to 440 hp. Light versions are equipped with engines DL06K (280 hp) and NEF (260 hp). A new cabin with a modern design is installed on the air suspension. The complete set includes the conditioner and system GPS. We offer a choice of a day cab and 3 variants of cabins with a sleeping compartment with different roof heights. In 2012, the Prima trucks were updated. Tata Daewoo used an electronic chassis air suspension to improve the performance of the Prima model, protecting the load in the body and increasing driver comfort. Disk brakes will increase the braking efficiency by 30% compared to the drum brakes installed on previous versions. Modifications were made to the electrical system, in particular, the capacity of the battery was increased. Drivers can now enjoy the ventilation of the seats, and in the summer they are cooled, and in the cold season - heated. The new trucks use the Eco-driving System to improve fuel economy. And Prima received new rear-view mirrors with a wider viewing angle, high-capacity springs, new cabin colors and new graphic designs. The instrument panel is equipped with a new color LCD display.